As part of our ongoing work with the lovely Poppy Cat, we got crafty again today. 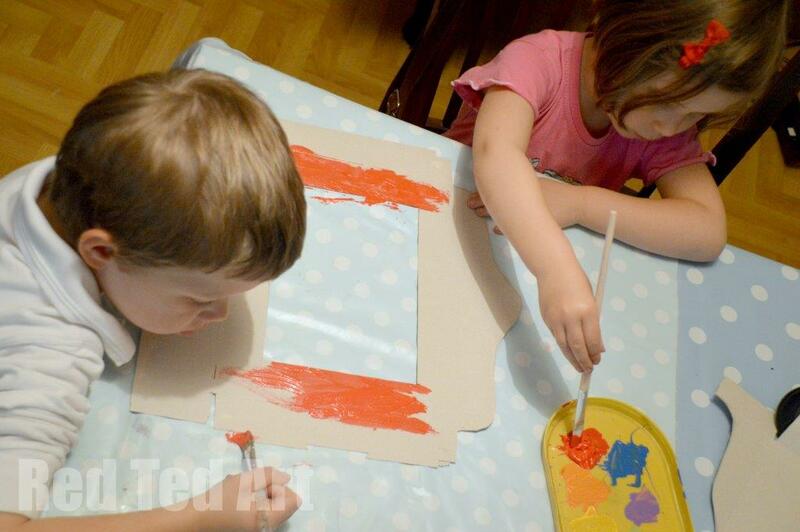 Check out our other Poppy Cat Crafts to date and watch this space for more to come! 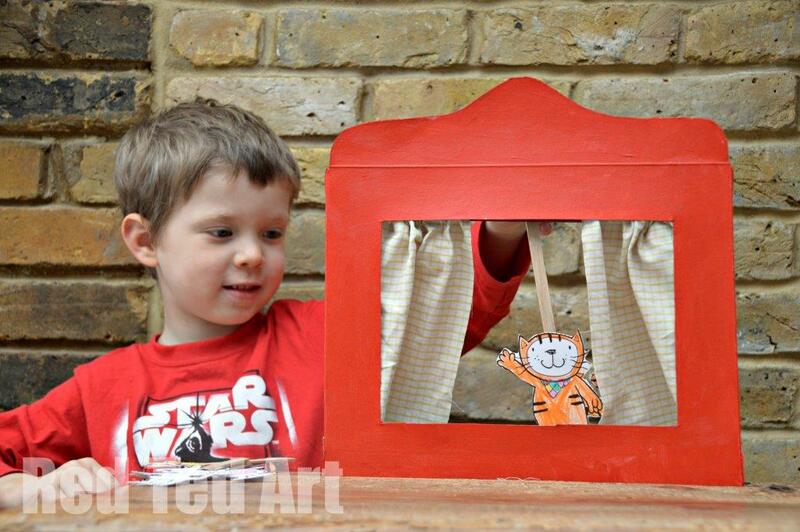 This time we will be making a Puppet Theatre out of an old cereal box and some old fabric (e.g. an old shirt or skirt). 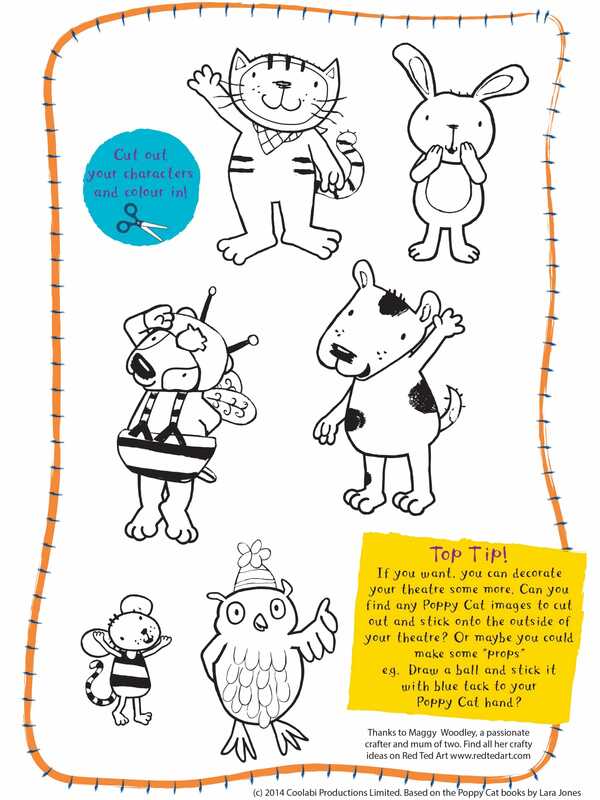 Then cut out your Poppy Cat friends, colour them in and turn them into fun lolly stick puppets! 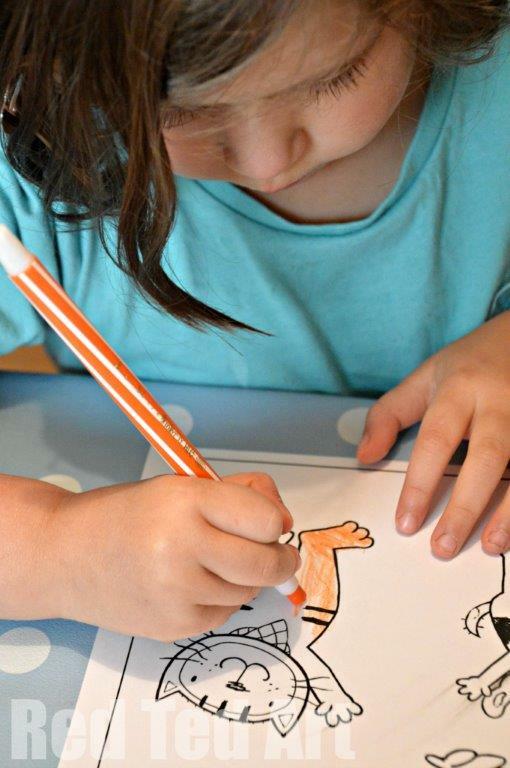 You can recreate your favourite Poppy Cat stories or make up your very own! 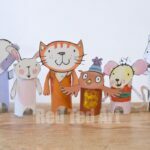 Maybe you can create some new friends for Poppy Cat to play with? 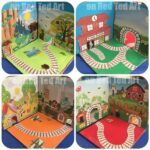 (find more Poppy Cat activities here). 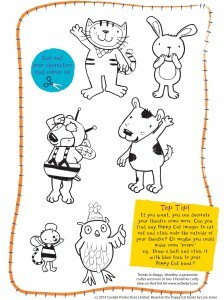 PRINT OUT your FREE Poppy Cat characters. 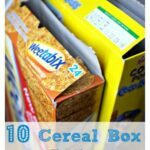 Step 1: Begin by taking your cereal box carefully apart – you won’t need all of it, plus you want the inside on the “outside”. 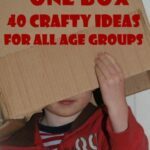 This is because, it is much easier to paint the inside of a cereal box. 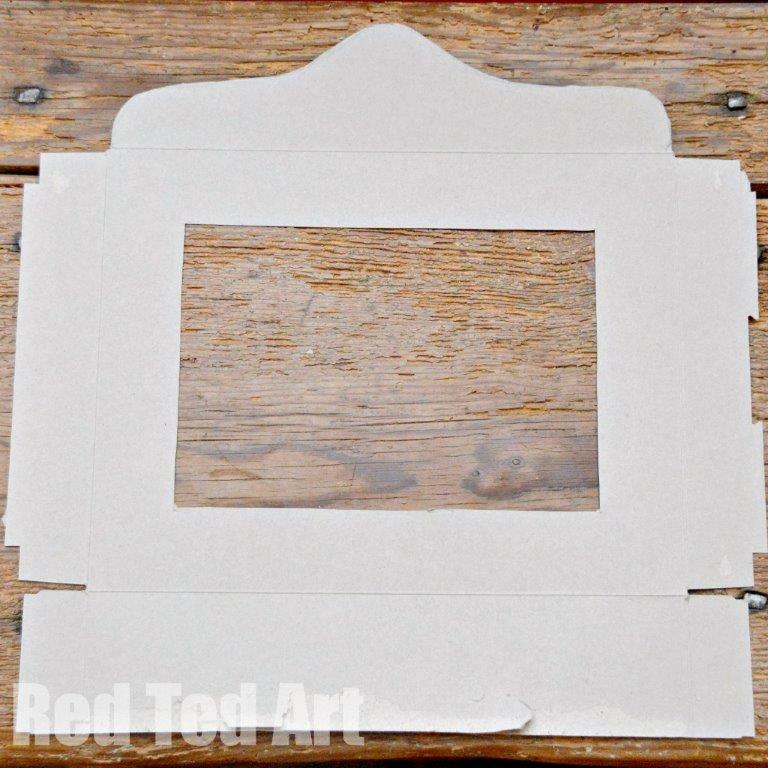 Once you have opened it up – cut a wiggly top of theatre shape into middle panel of your cereal box. Get an adult to help you cut out a big rectangle from the middle part of your theatre. Step 2: Paint your cereal box and once dry, either glue or tape it back together (with the outside facing in). 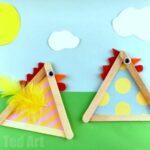 You now have your basic puppet theatre and could already start playing. 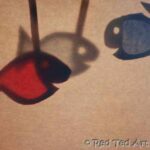 Top Tip: sometimes puppet theatre’s topple, you can place a stone on the inside to keep it from moving. Step 3: Make some curtains – cut fabric that is a bit bigger than your theatre window. 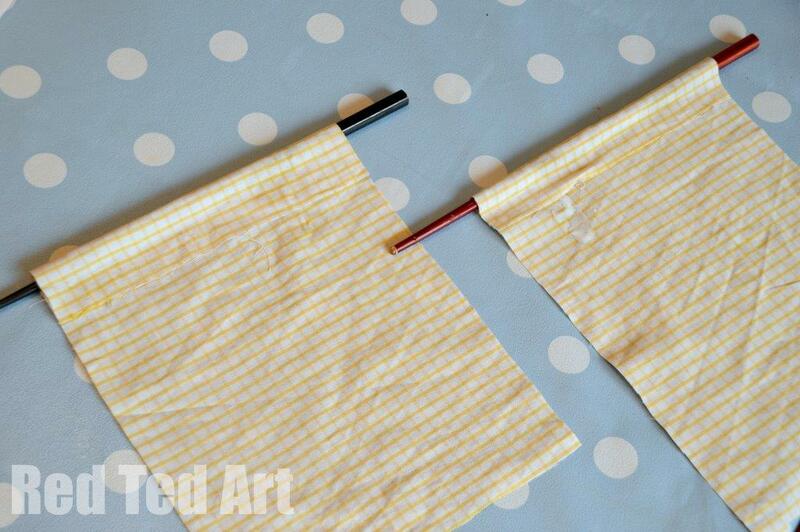 Glue down the ends of your fabric to create a little loop – you can dry them resting on a pencil or chopstick. Make sure you don’t stick them shut or to the chopstick! Once dry, thread them both onto just one of your chopsticks. Tape the chopstick in place and you have curtains that you can open and shut. If you don’t want to do this, you can just stick your curtains straight onto the cardboard. Just make sure they are open a little. Step 4: Now it is time to cut out your Poppy Cat friends (get your parents to help if you need them to! 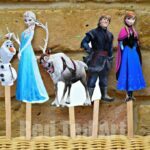 ), colour them in and tape them to a lolly stick. If you don’t have any lolly sticks to hand, why not use real sticks from the garden? Or stick them to a piece of card? 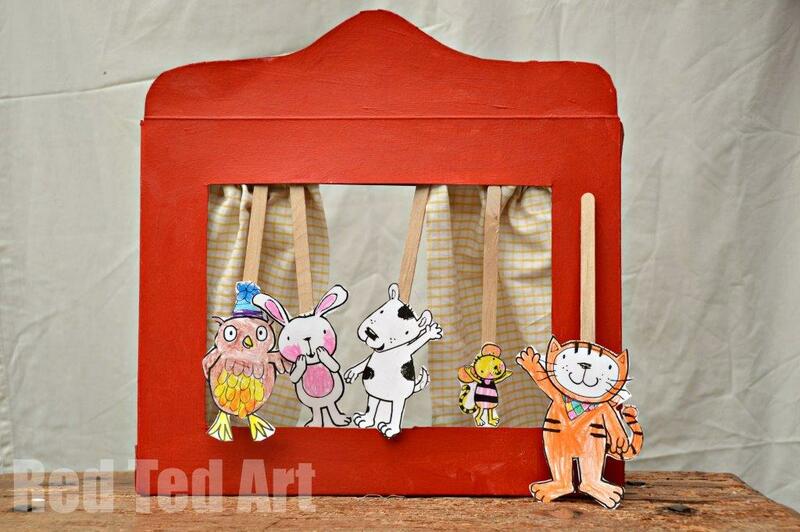 Note: you can stick your craft stick to the top or the bottom of your Poppy Cat and friends – depending on how you prefer to play with your theatre! If you want, you can decorate your theatre some more – can you find any Poppy Cat images to cut out and stick onto the outside of your theatre? or maybe you could make some “props” – e.g. 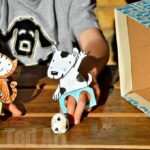 draw a ball and stick it with blue tack to your Poppy Cat hand? Now… Let’s raise those curtains and put on a show!